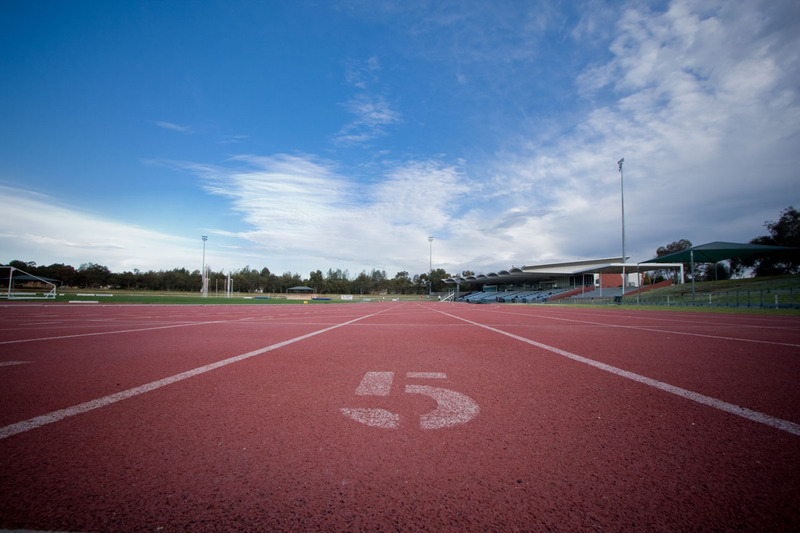 Australia sure has some fantastic track & field facilities! This beauty is in South Australia, and it looks fantastic. Let’s start with the track. It has nine, full lanes, but three extra lanes are added to the straights – on both sides! It’s not that uncommon to see two added to the main straight, but I don’t know if I have ever seen it on the back straight as well. And three additional lane on top of it, giving them two, 12-lane straights! The track surface then extends outside those wide straights to incorporate the pole vault runways on east side, and the long and triple jump runways on the west side. They also have three additional pole vault pits placed on the inside of the north curve. Also located on the inside of the track are two cages, one on each end, for the discus and the hammer. A javelin runway is found on each end too. On top of all of these options, your notice all of the addition spots they outside to the northeast – two shot put sectors, a huge high jump area, and four additional runways. There is even another javelin runway farther to the north that got cropped out of the photo. This is one impressive venue! 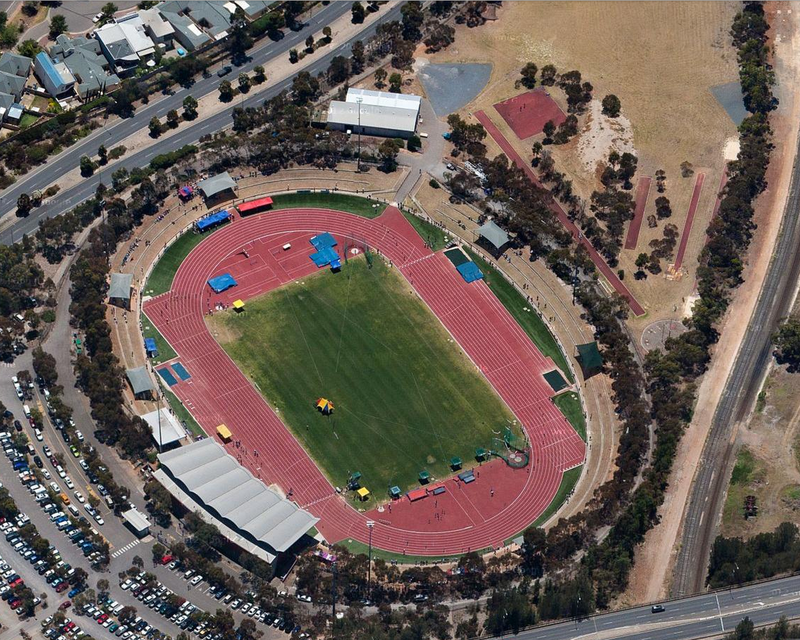 Santos Stadium opened in 1998, and is the main facility for Athletics South Australia. The capacity is listed at 8,000. I have to say, I’m kind of blown away by this facility! *Photo from Active For Life.